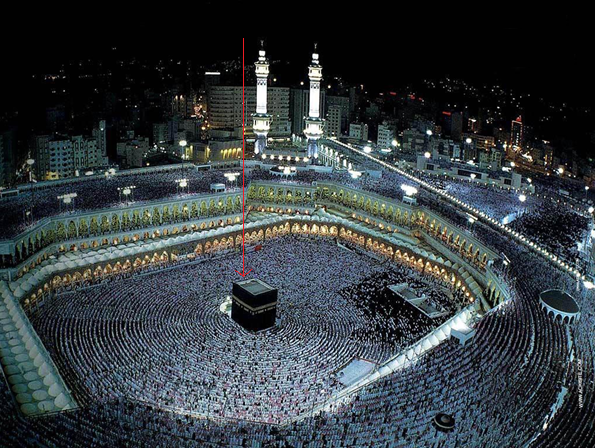 Home › Islam › Did Kabah In Makkah Exist before 4th Century? Did Kabah In Makkah Exist before 4th Century? One of the recent things I have heard from Christian missionaries, when debating with them is that they say, “Kabah in Mecca did not exist before the 4th century.” Some of them even say that the Ka’bah in Mecca where Muslims go for pilgrimage annually has no history before the advent of Islam. These ridiculous fictitious claims have no bases whatsoever. I shall now bring forth evidences that Kabah in Makah did exist in history long before the coming of Muhammed (p). « Bible: Yahweh Best of Deceivers? Yes there is only one God and HE is the Al-Mighty Creator who created everything. Jesus is not God. God saves me, not a human being that was created by the Creator. I accept him (Jesus) as a Prophet/Messenger of Almighty God. I hope you start repenting and come back on the truth path of Monotheism, start worshipping the CREATOR not the creation. By the way this post is about Makkah, if it existed before the 4th Century. nauzubillah nauzubillah, Astaghfirullah, these people donot even know what they believe, but they do Shirk upon shirk to satisfy their debates. Its amazes me how we all try to prove our point as to who is right and who is wrong, God has already proved us wrong, and further He is not interested in any of these accept to follow what He wanted us to do and that is, to spread the good news of salvation..HOW PLAIN IS THAT!!! It amazes me how all the ancient historians showed that Ka’abah existed as a sanctuary from time immemorial. This fact really justifies the statement of Rev. Charles Augustus that the Ka’abah “was built and used for religious purposes by some of our early patriachs”. Thus historical evidence proves the Islamic claim on the antiquity of the Ka’abah! why ancient historians mentioned the name of mecca as makoraba while the ancient name of mecca is becca? and other contempory historians and 18th century historians by what evidence they admitted this? Sorry none of this is evidence as far as I can see. The debate is not really about whether Kaaba existed before Quran came. We know it did already. That doesn’t show anything. The point is is whether there is evidence that it was associated with the worship of the God of Bible, and whether Abraham and Ishmael were involved in its building. On all these points, there is absolutely no evidence. In fact, apart from evidence, there is not even any writing before Quran that talks about this. This Rev. Charles Augustus guy is just one random American (who was not even a historian) who wrote about 200 years ago, and no-one knows where he got this opinion from. So it basically counts for nothing. Of course the best place to look would be the Bible, but we know for certain that the BIble doesn’t mention anything about Kaaba, or Abraham going to Mecca, or Ishmael building it. John the Seeker makes a valid point. No evidence of Mecca existing during the time of Abraham. His point falls down when he writes: “Of course the best place to look would be the Bible..” because neither is the bible backed up by ANY archeological evidence of ANY Patriarch’s existing. But this post was about did Mecca exist before 4th Century A.D.. This author proves geographers mentioned “a Temple” in the area prior to 4th Century A.D. So the lies of Christians about it have been addressed. Really comes down to, who is to believed. The Semitic people whom have lived in this area from Biblical Times. Or, European, Greco-Roman usurpers of their Prophets and culture?